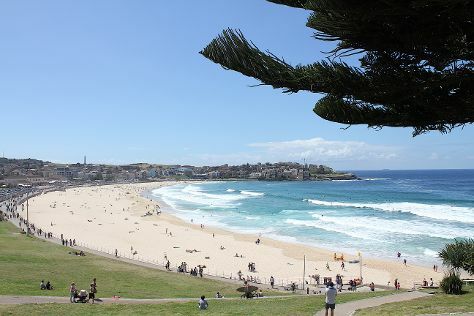 Visiting Bondi Beach and Manly Beach will get you outdoors. Your itinerary includes some good beach time at Maroubra Beach Rocky Climb and Clovelly Beach. You'll find plenty of places to visit near Sydney: Wentworth Falls (in Katoomba), Perry's Lookdown (in Blackheath) and Coachwood Glen Nature Trail (in Megalong Valley). Spend the 7th (Mon) exploring nature at Sydney Harbour National Park. Spend the 8th (Tue) exploring nature at Kanangra-Boyd National Park. There's much more to do: catch a live performance at Sydney Opera House, stroll through Freshwater Beach, wander the streets of Darling Harbour, and enjoy the sand and surf at Silver Beach. For more things to do, ratings, reviews, and more tourist information, refer to the Sydney trip itinerary website . London, UK to Sydney is an approximately 25-hour flight. You can also do a combination of flight and train; or do a combination of flight and bus. The time zone difference moving from Greenwich Mean Time to Australian Eastern Standard Time (New South Wales) is 10 hours. Plan for a bit warmer temperatures traveling from London in October, with highs in Sydney at 28°C and lows at 17°C. Cap off your sightseeing on the 12th (Sat) early enough to travel to Brisbane. Get in touch with nature at Lone Pine Koala Sanctuary and Mooloolaba Beach. You'll get in some beach time at Burleigh Heads Beach and Moffat Beach. Explore Brisbane's surroundings by going to Pelican Feeding (in Labrador), Kings Beach (in Caloundra) and Surfers Paradise Beach (in Surfers Paradise). Spend the 17th (Thu) exploring nature at Glass House Mountains National Park. The adventure continues: kick back and relax at Maroochydore Beach, brush up on your military savvy at Victoria Barracks Museum, tour the pleasant surroundings at Dicky Beach, and admire the natural beauty at Brisbane Botanic Gardens Mt. Coot-tha. 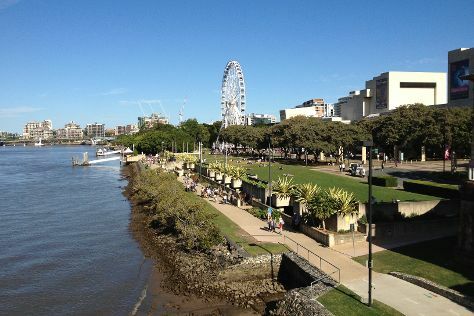 To see where to stay, photos, more things to do, and more tourist information, read Brisbane day trip planning site . Traveling by flight from Sydney to Brisbane takes 4 hours. Alternatively, you can do a combination of flight and bus; or drive. In October, plan for daily highs up to 29°C, and evening lows to 19°C. Finish your sightseeing early on the 19th (Sat) so you can travel to Cairns. Step out of the city life by going to Safaris and Daintree Rainforest - Cooper Creek Wilderness. Visit Thornton Beach and Palm Cove Beach for some beach relaxation. Get out of town with these interesting Cairns side-trips: Hartley's Crocodile Adventures (in Palm Cove) and Port Douglas (Four Mile Beach, Horses in Port, & more). Spend the 20th (Sun) among aquatic life with a scuba or snorkeling tour. And it doesn't end there: enjoy the sand and surf at Trinity Beach, take a memorable tour with Tours, and admire the landmark architecture of Freshwater Station. To find reviews, photos, other places to visit, and more tourist information, read our Cairns day trip tool . Getting from Brisbane to Cairns by flight takes about 5.5 hours. Other options: do a combination of bus and flight; or drive. Traveling from Brisbane in October, things will get somewhat warmer in Cairns: highs are around 34°C and lows about 24°C. Wrap up your sightseeing on the 25th (Fri) early enough to travel back home.